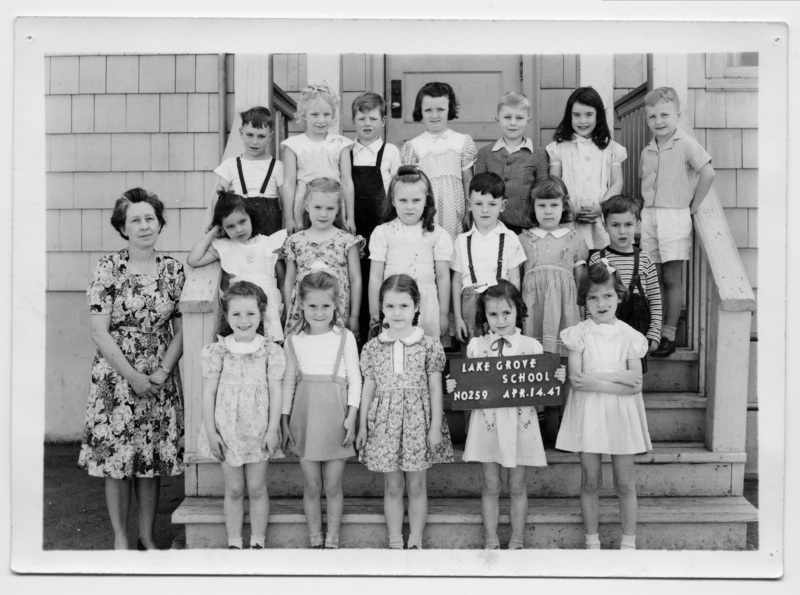 Description Scanned as B & W. Teacher is Clara Hargreaves; sign held by student: Lake Grove School, No. 259, Apr. 14.47.